A jury trial has been set for a former Eastern Michigan University student who was expelled after refusing to attend homosexual sensitivity training when she declined to counsel a fellow student that was a homosexual. According to reports, Julea Ward, a high school teacher, was enrolled in the university’s counseling program in 2009 and was just a few courses short of obtaining her third master’s degree when she found herself in a conflict. She had just begun her practicum, a time when she could have first hand experience in counseling while being supervised by one of her professors. Before meeting her first client, she found out that the session would involve an individual that was seeking advice regarding their homosexual relationship. Ward contacted her adviser and explained that as a Christian, she could not condone homosexual behavior. She then was encouraged to have the clinic assign the session to another counselor. However, soon afterward, Ward’s adviser used the situation against her. Therefore, Ward appeared before a small group of university professors who questioned her about her faith. Those options were that Ward either undergo homosexual sensitivity training and amend her ways, face a formal review by the university or leave the program and forfeit her degree. She chose the formal review. As Ward stood before a panel of three university professors during the formal review, she was questioned about her beliefs, including whether she felt that her “brand” of Christianity was superior to others who profess to be Christians but are accepting of the homosexual lifestyle. “You’re asking me to sell out God,” she told the panel, who informed her that they would release a decision within a week. Several days later, Ward received a letter stating that the university had unanimously decided to expel her from the counseling program, which would mean that she would not be able to receive her Master’s degree. She then filed a federal lawsuit against Eastern Michigan University, but U.S. District Judge George Steeh dismissed the suit in summary judgment. 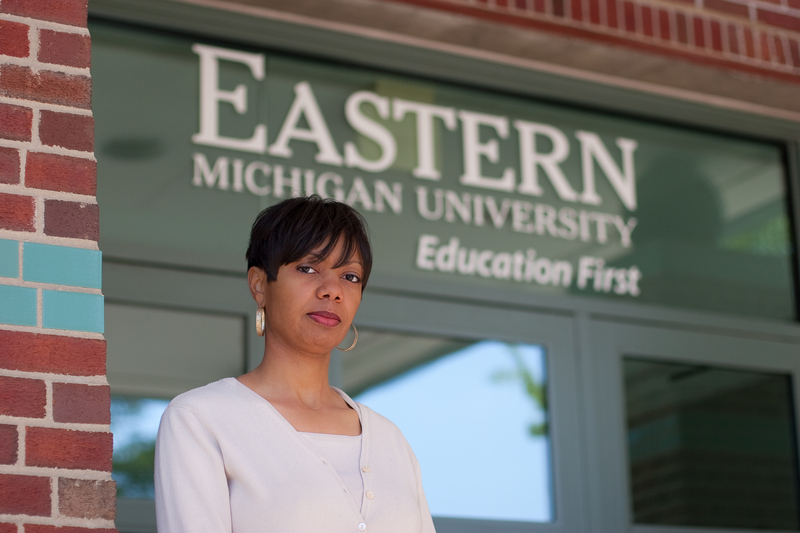 Earlier this week, a hearing was held regarding the scheduling of her jury trial, where selected persons will decide whether Ward’s rights were indeed violated in being expelled from Eastern Michigan University’s counseling program. Ward says that she is thankful that the case is moving forward because she feels that it is important for all Christians. Alliance Defending Freedom (ADF) has been handling Ward’s case, and the American Center for Law and Justice, the Foundation for Moral Law, the Justice and Freedom Fund and the Becket Fund for Religious Liberty have all filed Amicus briefs of support. The American Civil Liberties Union (ACLU) and the organizations Gay, Lesbian and Straight Network Education and the Friends of Lesbians and Gays have filed briefs on behalf of Eastern Michigan University. The school stands behind its belief that Ward violated the established Code of Ethics, and therefore, her dismissal was appropriate. The jury will hear Ward’s case early next month. In June of this year, the Michigan state House of Representatives passed the “Julea Ward Freedom of Conscience Act,” which would protect students and others who decline business services due to their faith. The bill is now before the Senate, but is not yet scheduled for a vote.